Nougat – Product Life Cycles and Ansoff Grids? This is like a case study for the Product Lifecycle and the Ansoff Matrix approaches to market development. Which has a somewhat different feel to its existing product, which has a totally different look. On the product lifecycle nougat is surely a mature product and the photo above shows a classic existing product in existing market. 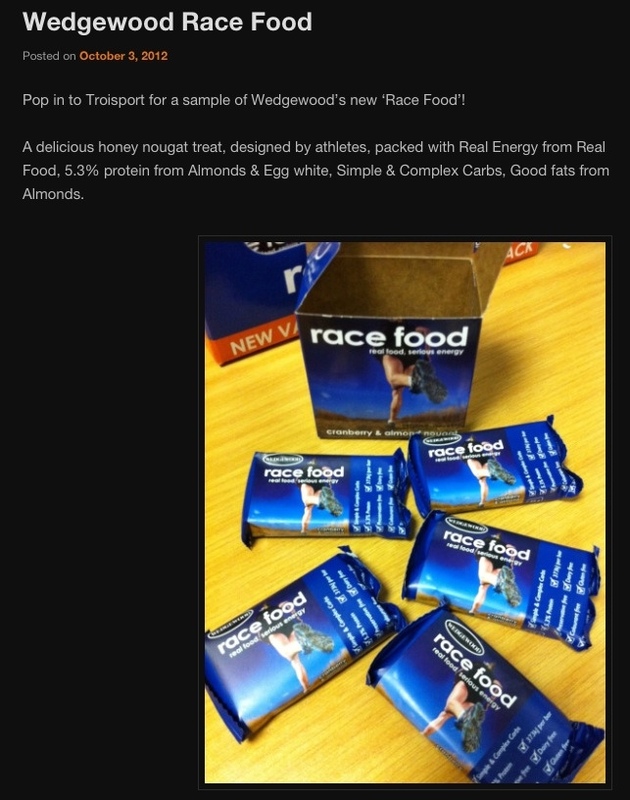 Race Food is a normal nougat modified to be less sweet and softer to chew and of course packaged in a size and format that suits the athlete. 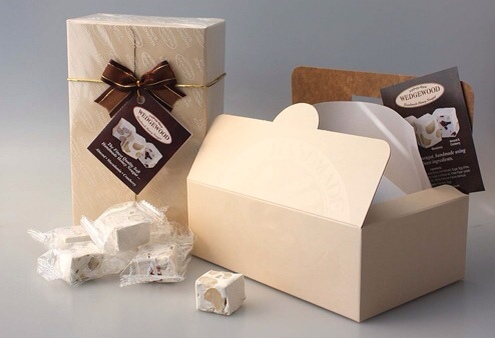 So it's an existing product entering a new market, hoping to start a new growth phase in Wedgewood Nougat lifecycle. It's also interesting to note that according to Wedgewood the idea came from their customers. After some time and success in the market this might become material for a business school case study. This entry was posted in ..Agribusiness/tech, Enterprises, Food Products, Interesting Food Products, Market /Business and tagged ansoff, case st, case studies, energy bar, nougat, Wedgewood on January 6, 2013 by admin. Brewing in USA – The Small Option. Over the next while there will probably be a number of posts showing that smaller alternatives to the multinational food companies, are where growth is happening at present. An interesting question is does this also bring the “try it quickly and fail” approach used in the computing industry to the Food Industry? Here again we have the demonstration that the US brewing industry has moved from supplying only the bland beer that was the consequence of centralisation and wide distribution. The consumer really wants more interesting, flavoursome local beers whose brewing value chain can unluckily (luckily actually) not be scaled up in the multinational brewing system. This entry was posted in ..Agribusiness/tech, .Consumerism, Enterprises, Market /Business and tagged beer, small scale, USA on October 15, 2012 by admin. Great Links To Business Support System in South Africa. This page of links from the South African Bureau of Standards is really helpful for new and developing entrepreneurs. This entry was posted in ..Agribusiness/tech, .Agribusiness, Enterprises, Market /Business and tagged smal, small business, South Africa, support on September 21, 2012 by admin. New Markets, New Mindsets is a book that attempts to provide information to assist enterprises to sell to the very poorest – the so called bottom of the pyramid. It is based on real information from South African experiences. The book says that no one has yet found the way to sell profitably and sustainably here, but that companies are starting to get things right which will eventually lead to success. The book advocates co-operation in this market and will be running a pilot in Diepsloot to gather experience and test hypotheses. The above webpage includes a video interview with one of the authors, which you can see by using the link below. This entry was posted in ..Agribusiness/tech, Development, Enterprises, Green / Sustainability, Market /Business and tagged bottom of the pyramid, New Markets, New Mindsets, poor, retail on August 19, 2012 by admin. This processing centre in the USA appears to have managed to set itself up to support small scale processors, unlike many failed African attempts I have seen. It seems a sensible approach and I would really like to hear about successful businesses similar to this in Africa. But let’s look at this one first. This facility in Waitsfield, Vermont covers 370 m2 facility and offers two meat processing rooms, a vegetable/herb processing room and a smoking room as well as a shared dish-station, Industrial sized freezer & cooler and dry storage area. The centre also makes available a distribution service through a commercial food distributor. The facility is approved for food and meat processing and is run as a for profit business. It is currently running at about a half of the 60% utilization required to break even, but the manager is confident of reaching this within a year. The plant is run within a list of process and storage prices and even has a series of defined fines for actions from not cleaning properly to missing a booking. While I have seen a number of incubators, processing centers and other models aimed at promoting small enterprises in a number of countries, the closest I have seen to this model was at Mahala in Mpumalanga, South Africa. That centre offered the use of equipment to produce a number of food products including bread, fruit juice and vegetable oil (ref. : Fruit And Veg Cape Town). The center only operated while it was grant funded and failed as soon as grant funding ceased as utilization was low. It is interesting to note that the technologies offered weren’t focussed so much on farmer’s needs but were product linked. The centre also offered non food technologies with concrete block making being the most successful. What information do you have to add? Why not email me and I will publish it here, to allow others the chance to understand success factors and not make the same mistakes! This entry was posted in ..Agribusiness/tech, .Food Processing, Costs, Enterprises, Equipment, Market /Business and tagged centre, processing, value addition on August 13, 2012 by admin. Here is a 288 page , high quality manual covering the steps required to set up a small food processing business. The only downside is that it is written for Canada so many of the contacts are not applicable to local circumstances. However, the quality and depth of the information and the fact that it’s free to download make its retention as a reference worthwhile. This entry was posted in ..Agribusiness/tech, .Agribusiness, Costs, Enterprises, Food Processing, Food Products, Food safety, Market /Business and tagged business, business manual, food, Food Enterprises, food industry, food markets on January 23, 2012 by admin.